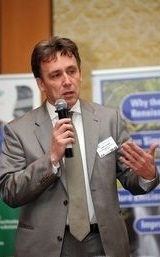 prof. Jerzy Cetnar – head of Division for Nuclear Energy at AGH University of Science and Technology in Kraków, Poland. Defended Ph.D. at Tokyo University in 1992. Long-term visits to Brookhaven National Laboratory, USA (1999), and KTH Stockholm, Sweden. PI of many nuclear energy projects such as ELSY – European Lead-cooled SYstem; PUMA – Plutonium and Minor Actinides Management in Thermal High Temperature Reactors; ARCHER – Advanced High-Temperature Reactors for Cogeneration of Heat and Electricity R&D etc. Specialist in modelling nuclear reactors in the ”on-line” mode, IV generation nuclear reactors (HTGR – High Temperature Gas-Cooled Reactor, LFR – Lead Fast Reactor), coal-nuclear synergy and the usage of the process heat from high temperature reactors in chemical industry. prof. Mariusz Dąbrowski – head of the Division of Nuclear Energy and Environmental Analyses at National Centre for Nuclear Research. Published more than 100 papers in nuclear, particle physics, and cosmology. Referee in a number of science journals (Physical Review Letters, Journal of Physics, Astrophysical Journal, Progress in Nuclear Energy etc.). Supervised 4 Ph.D. thesis (3 in progress), 24 M.Sc., and 14 B.Sc. projects. Lectured diverse courses in physics. Chaired 10 international conferences (3 in nuclear power). 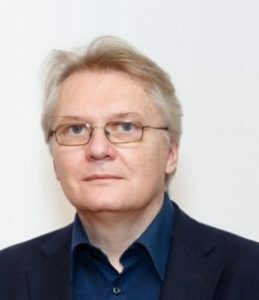 In 2010-2014 Westpomeranian Voivode Plenipotentiary for Nuclear Power and the member of the Advisory Team of the Polish Ministry of Economy for Nuclear Energy. Since 2015 involved in the work on the concept of the dual-fluid reactor (DFR). 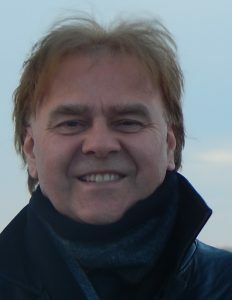 prof. Wacław Gudowski – renowned specialist in new nuclear technologies and generation IV reactors. Head of the Reactor Physics Division at KTH Stockholm, Sweden. More than 100 publications in solid state physics and nuclear engineering. Work experience: Los Alamos National Laboratory (USA); an expert of the French Parliament in nuclear energy and waste management (2003-2005); European Commission delegate to International Center of Science and technology in Moscow as an expert in non-proliferation. One of the pioneers of the transmutation in accelerated driven systems (ADS) and a collaborator of the Nobel Prize winner, prof. Carlo Rubbia. Coordinator of european projects in transmutation and ADS (IABAT, RED-IMPACT and many others). 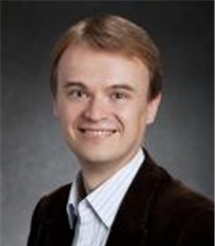 prof. Tomasz Kozłowski – specialist in multi-physics and multi-scale calculations of advanced analyses of nuclaer reactor safety, reactor design and probabilistic safety analyses. Awarded a series of prizes in nuclear energy. Among them Landis Young Member Engineering Achievement Award, American Nuclear Society, 2015. Attended or led 13 research grants in reactor physics in Sweden and the USA. Published more than 20 journal, and more than 40 conference papers in nuclear energy. Referee in these journals. Among them in the “Science and Technology of Nuclear Installations” (co-editor) and the “Nuclear Engineering and Design”. 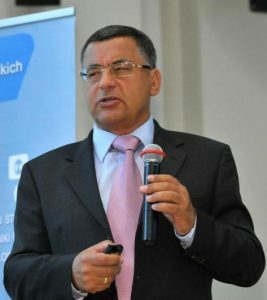 prof. Rafael Juan-Macian – specialist in reactor physics, neutronics, and thermal hydraulics, Head of Nuclear Engineering Division (NTech) at the Technische Universitaet in Munich, Germany. More than 20 years of experience in nuclear safety and the application of the numerical methods to the analyses of nuclear installations. For 10 years used to work at Paul Scherrer Institute (PSI), Switzerland and performed the calculations in coupled neutronics and thermalhydraulics codes for safety analyses of the Swiss nuclear power plants. Published over 70 papers in nuclear engineering and related topics. Now working on the dual fluid reactor concept – already supervised 2 Ph.D. theses on the topic.